The new episode. Spazz updated to The Hub HD and doesn't publish his TS anymore, so we'll have to wait until TrollHD does. 480p, 720p, 1080p and online video will be available when TrollHD release their TS. I'll update news with links as they become available. 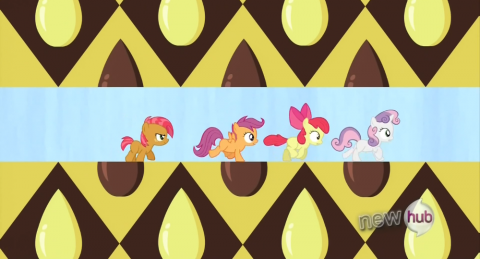 You can also click the image above to go to the page with links to every MLP:FiM episode. Updated 27.11.2012 at 16:21 (UTC +4). Added 1080p, 720p, 480p and online video. Updated 27.11.2012 at 20:45 (UTC +4). Added 360p.